“The Supreme Court on Monday denied a request from Pennsylvania Republicans to delay redrawing congressional lines,” writes Robert Barnes in the Washington Post. As NPQ covered last month, the case had led the Pittsburgh Foundation, for the first time in the community foundation’s 73-year history, to file an amicus brief in a case before the Pennsylvania Supreme Court that had been filed by the nonprofit League of Women Voters. 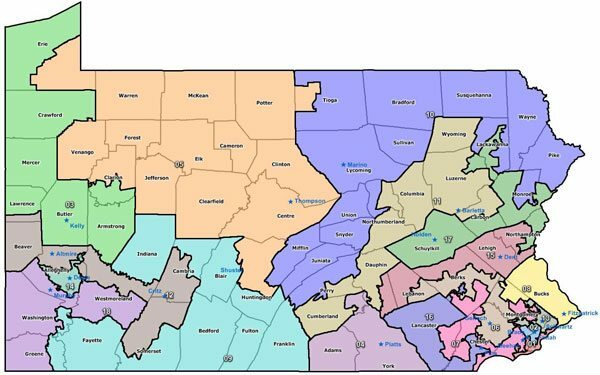 The foundation derided the state’s congressional district map as a “draconian infringement of the constitutional rights of Pennsylvania citizens.” The Pennsylvania Supreme Court, voting 5-2 along partisan lines, agreed with the foundation and overturned the Republican-drawn map, writing that it “clearly, plainly, and palpably” violated the state constitution. Pennsylvania is scheduled to hold its congressional primaries on May 15th, which is only a little more than three months away. “Because the district lines are in question,” Barnes explains, the filing deadline for candidates has been extended until March 20th. Two cases, however, are currently under review by the US Supreme Court; while it is highly unlikely a ruling for the plaintiffs invaliding districts would influence 2018 elections in those states, 2020 election boundaries might well be affected. One case, Gill v. Whitford, involves a challenge to a legislative map drawn by Republicans in Wisconsin. The other, Benisek v. Lamone, involves a challenge to a legislative map drawn by Democrats in Maryland. The nonprofit Brennan Center has information regarding the federal cases on this website.